OK, so the truth of the matter is that our typewriters are used for their sonic properties and aren’t loaded with ink or paper when we perform. However, we’ve been invited to participate in a night called “The Art of Paper” at the Portland Museum of Art on February 26. The museum is free on Friday nights, so all Mainers are welcome to join in and check us out, but we’ll be on early so come right after work as they’re showing Lori Anderson’s documentary about her dog at like 6:30. 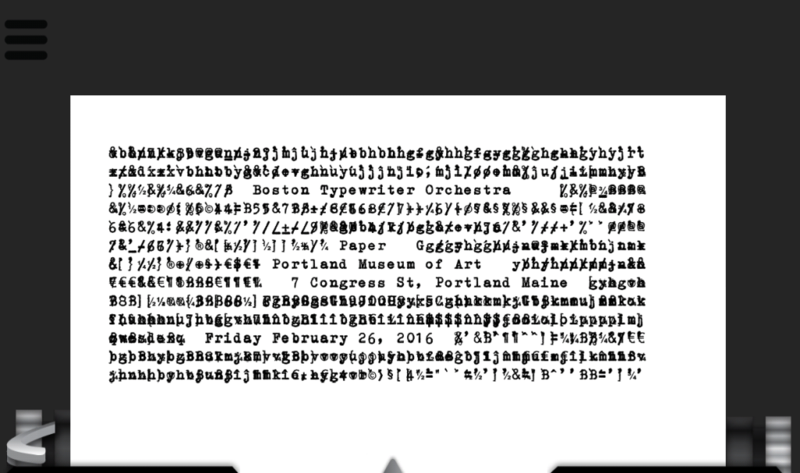 This entry was posted in Shows and tagged bto, maine, paper, portland, portland museum of art, typewriter on February 15, 2016 by Jeff B.